IT’S BEEN ON the market for a few years but it looks like the Recovery Room (previously The Rover) is finally going to change hands. Not a done deal yet, according to realtor David Stefan (representing the buyer), because a few contingencies remain, but it seems almost certain to go through, he says. 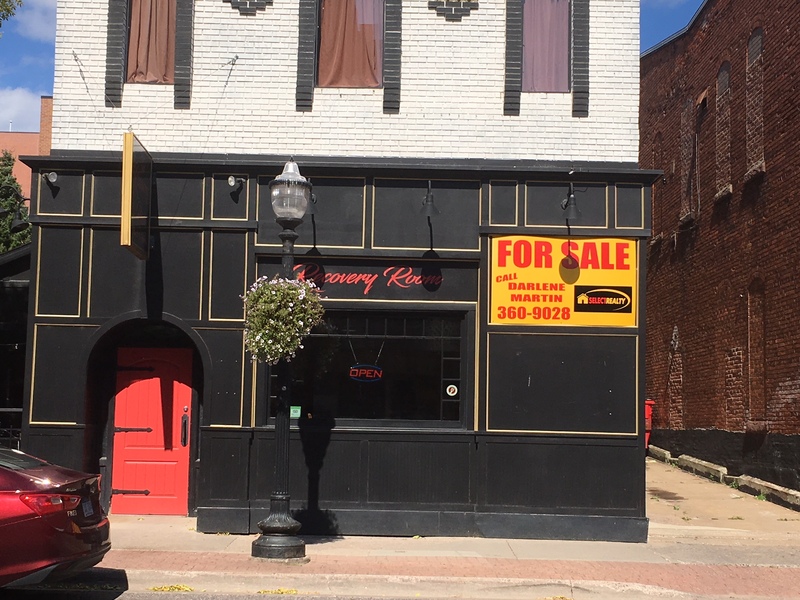 An out-of-state buyer with a local management team would take over the restaurant/bar, likely within the next month or so. Stefan says the new team will make changes to the kitchen, dining room, and menu, and would likely close the restaurant down for a short period of time to implement the changes and get the staff up to speed. Good news for Marquette, assuming it happens. A much-needed injection of energy and money into the heart of downtown. The Marquette Baking Company, next to the Children’s Museum, is closing down. Last day will be September 22nd. Owner Peter Claybaker will continue to supply his wholesale buyers for at least a few months afterwards but not the retail customers, and he’s already closed down his booth at the Farmers Market. Ten years at the store, 12 years at the market. Genuine artisan baked goods. A treat for all of us in Marquette. The reasons for the shutdown, according to Claybaker, are varied: 1) Lack of bakers. They keep leaving, and it takes time and patience to train new ones 2) He’s spending way too much of his own time on the business, even after 10 years 3) The retail business is only marginally profitable, especially in the winter, and 4) He wants to spend more time with his family. He’s not certain what the future holds for him. 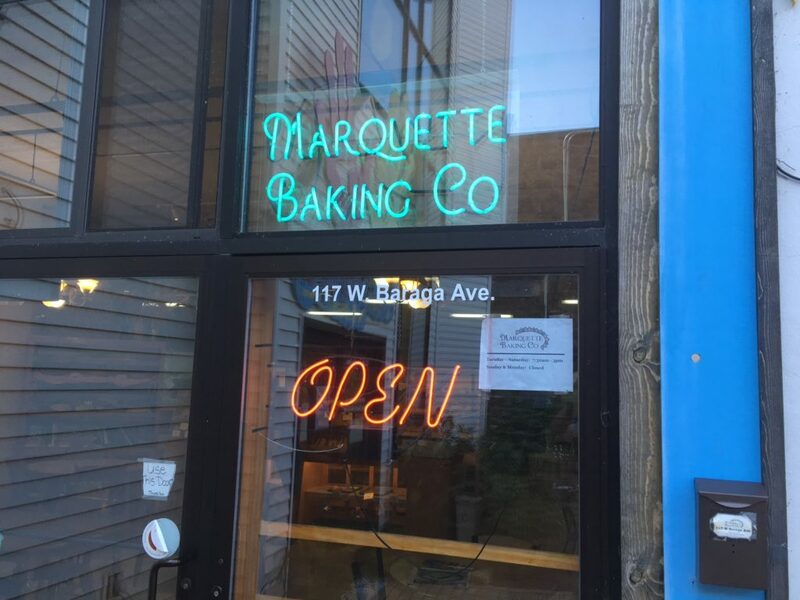 The future for Marquette, unfortunately, will be bit dimmer once the bakery closes down. The words of Michele Thomas, the director of commercial real estate for the Veridea Group which is expecting to buy four parcels of the Heartwood Property south of town. 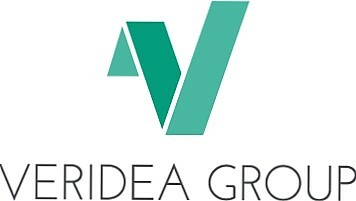 Thomas says Veridea has a tenant very interested in one of the parcels–a medical device company, low impact, no pollution. And as many as 50 good jobs, the type that might keep some talented, young people here in Marquette. Veridea doesn’t have a purchase agreement yet with the city; it’s being hammered out. It should happen soon. And the trails that run through the property? Thomas says one of them, the Mossy Trail, would likely be affected but Veridea, the city, and the Noquemanon Trail Network are working together to make sure the impact is minimal. All but a couple of the 31 units have been spoken for, according to Veridea’s Thomas, and most tenants have moved in. The apartments are in the $1100-1700 range. Market surveys had indicated there was a demand for them. They were right. The new residents are a mix: singles, couples, transients who might be working here for a year or two, and retirees looking for a simpler, maintenance-free lifestyle. 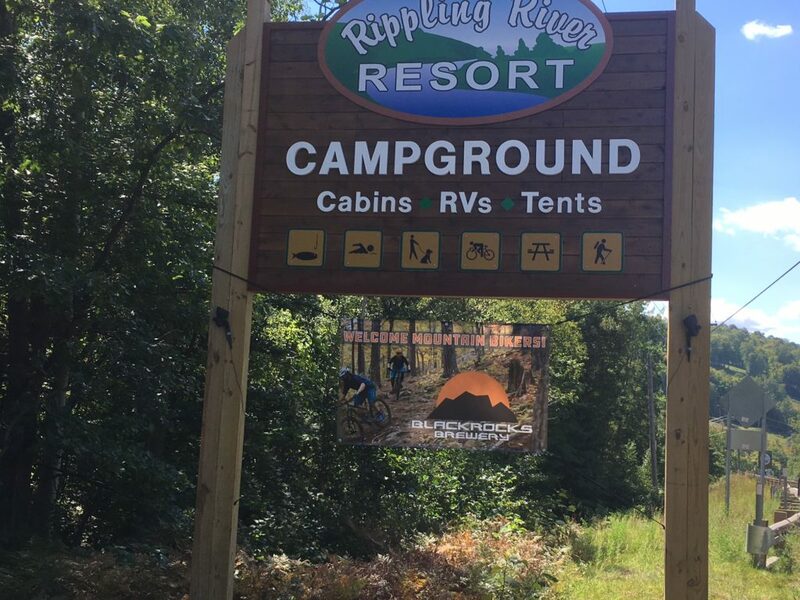 RIPPLING RIVER’S FIRST summer is in the books, and owner Mark Curran says the campground so far has surpassed even his expectations. Booked solid many of the weekends. The campground will remain open this winter, but only with electricity, not sewer and water. Rippling River’s 26 permanent cabins, of course, will also stay open, fully equipped. It’ll be interesting to see how many skiers will choose to stay in the cabins. Marquette Mountain is right next door. 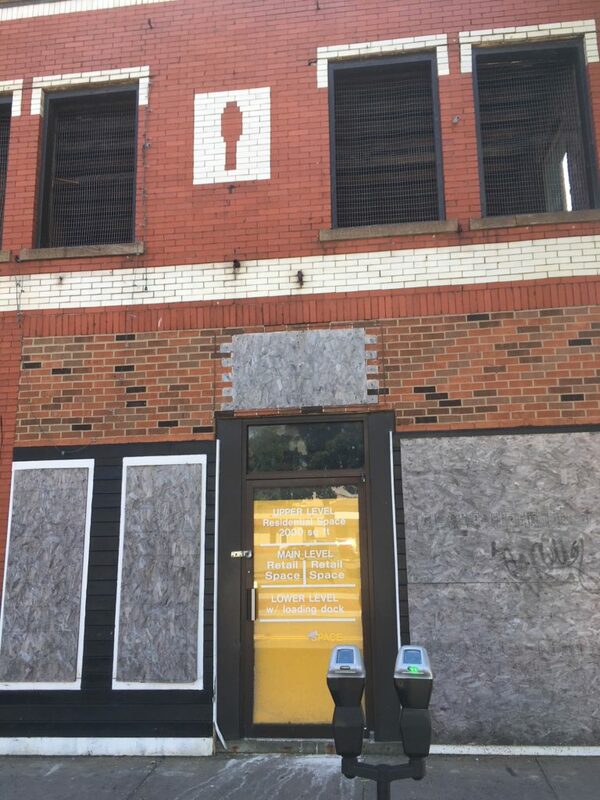 YOU MAY HAVE seen some boxed equipment outside the vacant 231 building on Washington Street last week. No, that wasn’t an indication that there was activity inside 231. Not yet. The equipment actually belonged to Aubree’s, the next door neighbor. As for 231 itself, Matt Beardsley, who’s been battling health problems, still intends to locate a patisserie there–231 West. He says we should soon see the front of the building coming down, to be replaced by a brick and glass facade, giving it a cool, historical look. The interior work would immediately follow this winter. Beardsley’s plan–admittedly an ambitious one–is to be open in time for the UP 200. 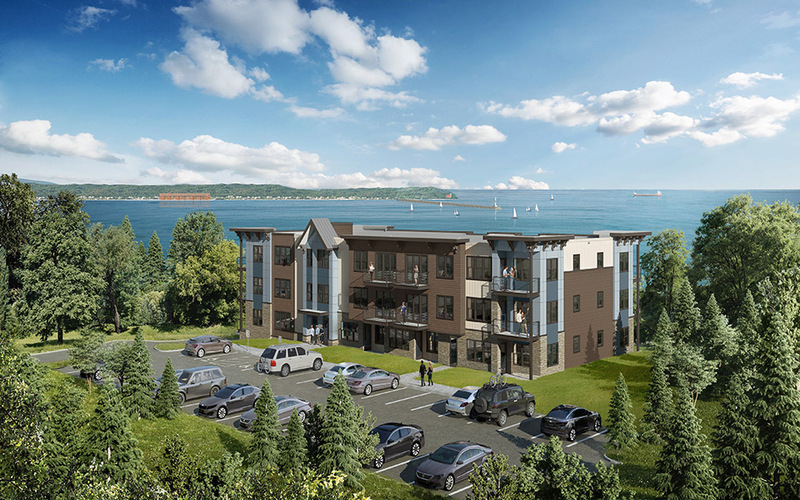 GOOD NEWS FOR the Downtown Development Authority….and more important, for downtown Marquette. 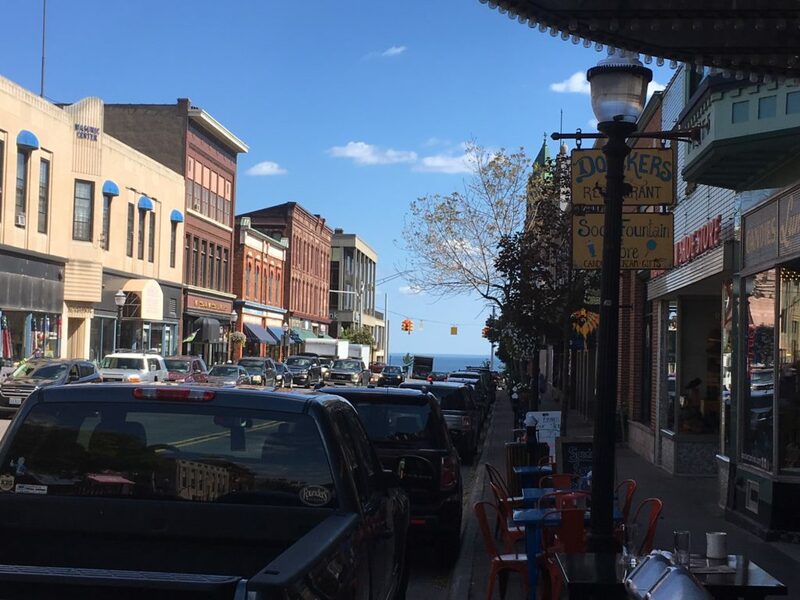 The Michigan Economic Development Corporation recently awarded Marquette $300,000 to restore the facades of its downtown buildings. DDA executive director Mona Lang says the grants will likely go to about five owners whose buildings are in need of repair and restoration. The catch is, they’ll have to match the grant, up to 50%. The buildings have yet to be selected. Owners will be notified in the next several weeks. The cool thing about this? Sixty communities in Michigan applied for the grant money. Only three were chosen. Marquette was one of them. LET’S RETURN TO the glory year of 1975. For those of us who weren’t around then, here’s what happened. 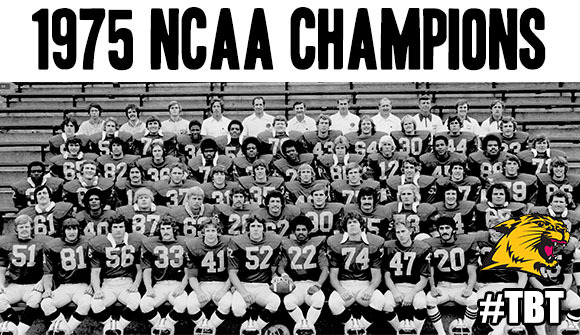 The NMU football team, which had been winless in 1974, completed a miraculous turnaround and won the national championship the following year. That story’s being told in “Put Your Hand on the Line,” a movie that was filmed by local filmmaker Scott Fure and narrated by national sportscaster Rich Eisen. The world premiere? It’s Friday, September 21st, 4 pm, at the Forest Roberts Theater. Admission is free. Seating is on a first-come, first-served basis. A feel-good football film, a tantalizing slice of local history. You can’t beat it.